Upcycling certainly is the hot topic of the moment. Seldom an evening goes by that I don't hear that word being used in my own home. So, what's the big deal? Why is everyone jumping onboard with this upcycling movement, and what's it all about? It's a term that has been on the downlow for the past 17 or so years- and it revolutionizes the concept of recycling- which "destructively" involves the tearing down of materials for reuse. Whereas upcycling, in contrast, gives an item more value, as it is built up into a new evolutionary form. 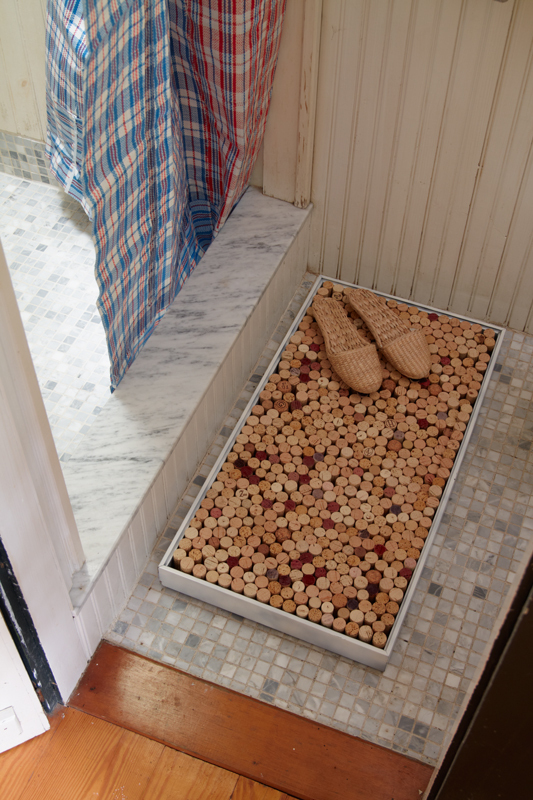 fashion wine bottle cork into a sustainable bath mat! The movement seeks to reuse products in the home, in an enviromentally friendly way, and to further improve upon an item's frail and useless state. 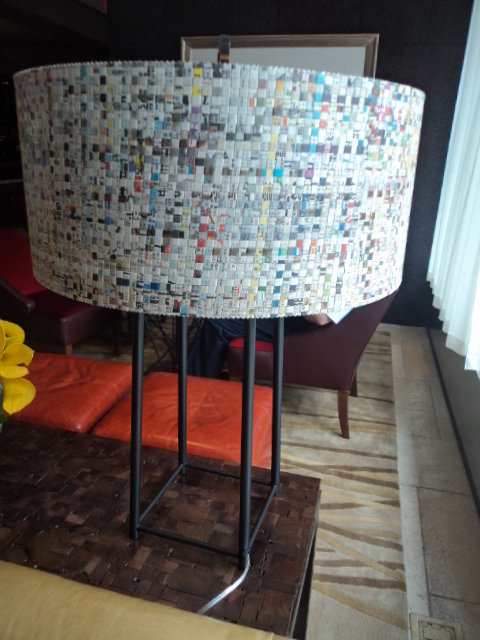 weave old newspaper into a lampshade! -Use old plastic bags as yarn. -Make new clothing out of old scraps. -Turn an old hard drive into an alarm clock. -Make a dress out of newspaper. Essentially, it's the art and stewardship of turning someone else's trash, and giving it a second chance. 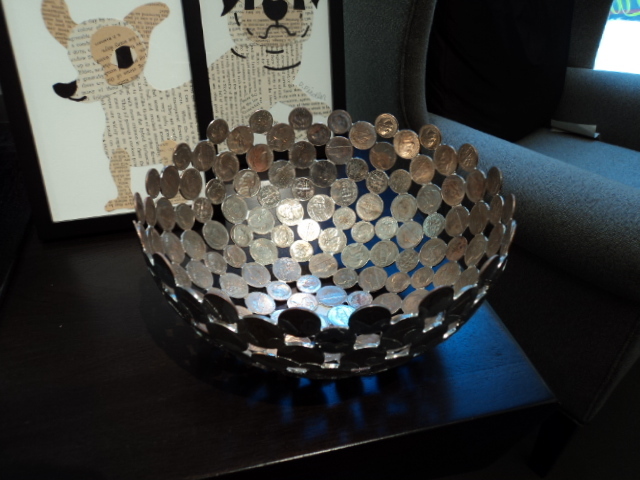 make a bowl out of some loose change! We've had our own experience with this practice by rescuing a set of chairs, repurposing an old record player, and giving new opportunity for a dresser. While I still am a bit uneasy about rifling through the trash for hidden treasures, I've found upcycling to be a unique way to add some history and interest into your home. Try it out for yourself!